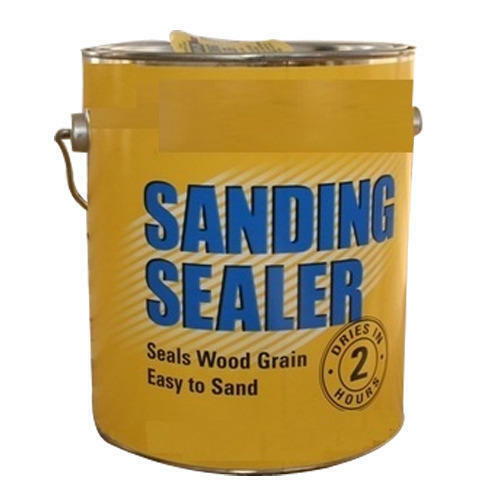 Sanding sealer is a priming coat which seals or fills, without hiding, the grain of wood; a hard film, usually sanded before the application of subsequent coats. It gives wood surfaces desirable characteristics, including enhanced appearance and increased resistance to moisture and other environmental agents. Finishing can also make wood easier to clean and influence other wood properties. In addition, finishing provides a way of giving low-value woods the appearance of ones that are expensive and difficult to obtain. We “Goel Enterprises” are a distinguished manufacturer of a broad range of Paint And Lacquers, Liquid Primers, Wall Putty, Oxide Colour etc. We are also trade Paint Roller. We are a Sole Proprietorship firm that was incepted in the year 2012, with an aim of providing superior quality range of products. Situated at Ludhiana (Punjab, India), we have constructed a wide infrastructural unit that plays a vital role in the growth of our company. Under the guidance of “Ms. Aditi” (Managing Director), we have gained huge clientèle across the nation.